When it comes to the emotional and mental wellbeing of your loved one, companionship can be one of your greatest tools for combating depression and creating an environment that is both enjoyable and conducive for active and productive engagement. Caring companionship through home care services can be a delightful addition to what may be a pretty routine existence for the elderly. 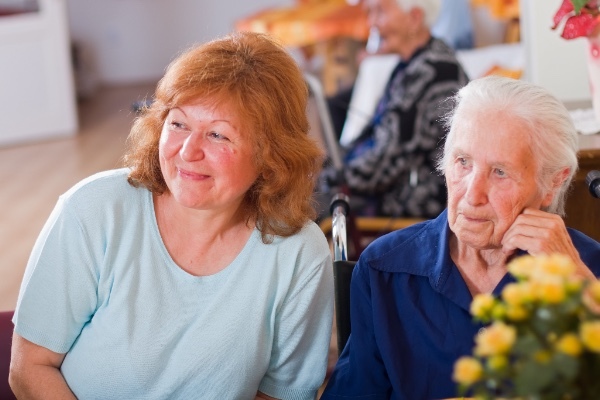 Home care aides can provide caring companionship by stopping by the home of the elderly patient and spending time with them through meaningful activities such as reading to them, talking with them, playing games, running errands with, and just otherwise, meaningful engagement. What Can You Expect from Your Home Health Aide? engaged, keep a timely assessment of their wellbeing and free up time for you to be able to meet the needs of your entire family. Before too long, your home care aide will begin to feel like family and a trusted companion for your parent. At Laura Lynn’s Home Care, we take great pride in the service we provide for the families we serve. If we can provide caring companionship for anyone you know, please schedule a free consultation today by calling 405-418-2961. Our qualified staff is standing by ready to help.